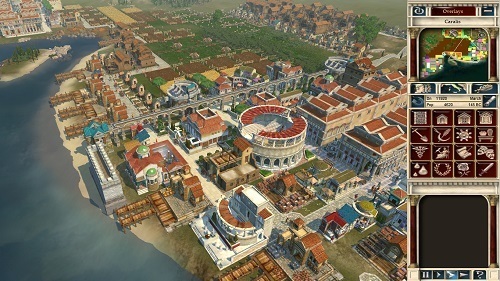 Caesar IV is a pure city building experience that takes place in an ancient Roman setting. The game was developed by Titled Mill Entertainment and released in 2006. As the name suggests it is actually fourth addition to the Caesar series and is very similar to other releases by Tilted Mill in the city building genre including Children of the Nile and SimCity Societies. In Caesar IV players are in charge of administration matters and building the historical city of Rome. The game uses a realistic 3D engine making for some realistic and truly spectacular graphics that were well ahead of the curve at the time. These graphics also aid the building aspect of the game and really let the player take control of the large game space that is available. 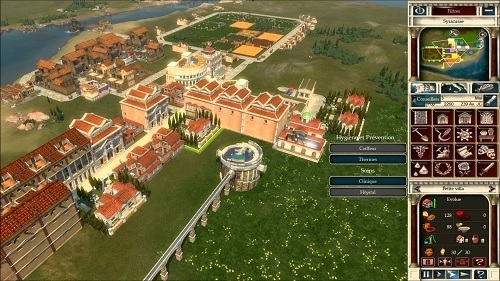 One of the great features of Caesar IV is the ability to place buildings at various angles to make a more realistic feeling city rather than one that is dominated by right angles. This means your Rome will be more dynamic and feel less like Rome on a grid. To Tilted Mill’s credit the game does try to keep the lifestyle of the Roman people as accurate as possible which adds to the realism and is a nice touch although will go unnoticed by most players as the game’s emphasis is solely on the building aspects. Caesar IV offers a decent length campaign which is split up into 3 different and unique sections (1 of which is the tutorial). During these campaigns you can either push military or peaceful solutions which will impact on your assignments and objectives for each campaign mission. On top of these campaigns you’ll have access to several sandbox scenarios to play and with the available level editor there are plenty of user made scenarios around the web if you want more. Create your own Rome experience. Mixture of military and peaceful options. Relaxing game with great tools to build your ultimate city. Sandbox modes and level editor add lots of gameplay hours.